It has been a while since I have posted My Sunday Photo due to surgery and struggles with Gee but Friday it was the first time out of the house for me since my spinal surgery. 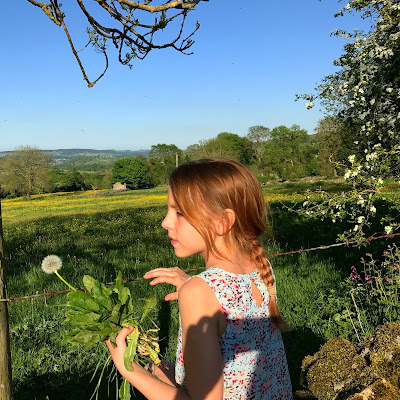 We took a short stroll out and boy was it hot, taking in the views of the Peak District, the silence and wonders of nature are all things I often take for granted. I am so thankful for my life and my family and I think the horrors of last week bring everything in to perspective, live life to the full and enjoy the simple things, treasure those close to you and show them how much you love them. I hope you all have a marvellous bank holiday weekend. What a beautiful summery photo. She looks so thoughtful. Hope you are recovering well from the surgery. It must have been nice to get out and enjoy the lovely weather. A beautiful photo, I love the golden light. I hope you're feeling better. I bet you were so pleased to get out and about again. Soaking up the sunshine, looks so calming there.